At Absolute Comfort, we’re here to help you with any HVAC problem you may have, from furnace breakdown in the winter to an air conditioner that’s working too hard in the summer. Our expert team understands how to get to the source of an issue quickly, and provide the necessary repairs so that your home is comfortable and enjoyable once again. We’re proud to serve the suburbs of northwest Chicago, and if you have an HVAC problem, we’re only a call away. When something goes wrong with your furnace, air conditioner, or water heater, you want to know that there’s a local expert who will arrive promptly and take care of the issue quickly. You can’t wait around all day while your furnace or AC isn’t working, and it can be very frustrating to try to make it through the night while your home is freezing or sweltering due to a broken HVAC system. At Absolute Comfort, we offer 24-hour emergency service, so you can get the help you need, when you need it. Read through our testimonials today to see how others feel about our HVAC services. 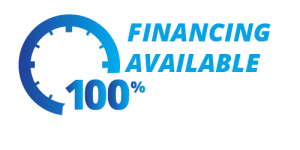 If you live in one of the cities or towns listed above, and you need furnace repair or replacement, AC repair or replacement, or your water heater isn’t working properly, contact us right away. You can use the form below, or you can give us a call at (815) 893-9276. We promise that you’ll receive friendly and professional service from the moment we pick up or respond to your request. Don’t let heating and cooling problems cause you frustration. 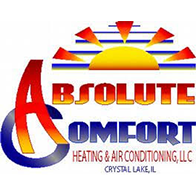 Contact Absolute Comfort today for the finest HVAC repair in northwest Chicago!